Losing the keys or combination may leave you wanting to open a locked mini fridge without causing any damage to the appliance. The procedure to open the locked mini fridge is highly dependent upon how you applied the locking mechanism. Most externally applied locks can be removed in a matter of seconds. Locks that are built in to the door of a mini fridge take more time and patience to disable without breaking the refrigerator. Important items may need to be retrieved after the key is lost. Unplug the mini fridge to eliminate the risk of electrical shock. Unscrew the screws holding the latch in place to remove the entire latch and lock mechanism from the outside of the mini fridge. Some external locking latches are bolted onto the mini fridge and cannot simply be unscrewed and removed. Cut the shackle of the lock with a pair of industrial bolt cutters. This requires a good deal of strength when cutting through larger locks. 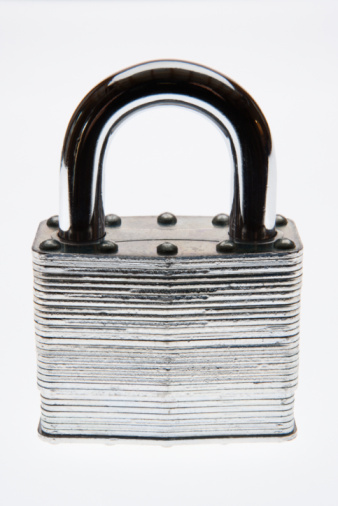 Lift the cut lock from the latch so that it can be swung open to allow access to the mini fridge. Attempt to pick the lock with a basic lock pick set. 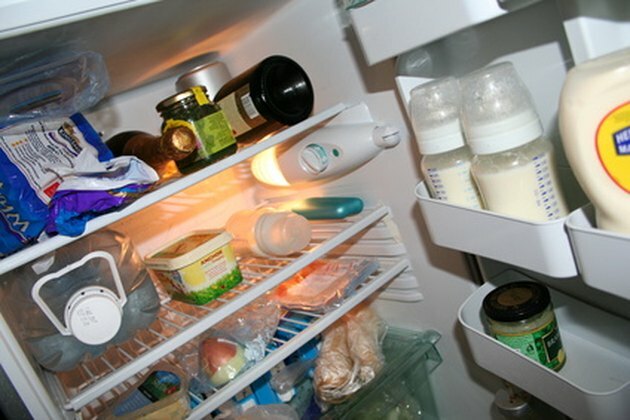 Most mini fridges with internal door locks use the pin-and-tumbler type of lock mechanism. Slide a spackle knife between the rubber gasket on the inside of the door and the mini fridge cavity until you feel the engaged bolt. The bolt will be above or beside the lock. Attempt to move the bolt to the side by prying and tapping it with the spackle knife. Sometimes this will make the entire lock mechanism turn and unlock the mini fridge. Jam a standard screwdriver in where the key would go and tap it in deep with a hammer. Try to twist the lock to move or disengage the bolt so the mini fridge will open.